With removal of the rear pin the KwikRail pivots up and out of the way for easy cleaning and maintenance. Made of Aluminum with black anodize finish. Requires removal of rear sight and receiver cover pin from your SKS. 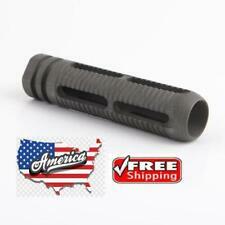 This is a Muzzle Brake for Popular 7.62x39mm Rifles. This brake threads on for quick and easy installation. Easy way to upgrade the look and performance of your Rifle. • 7.62x39mm Muzzle Brake - Threaded. Shuttle mirror: K9. Perfect tool for Sightseeing, Watching Match, Concert and Hunting. Angle: 8.2 degree. Night vision:support. 1 x Storage Bag For Binocular. Do not attempt to clean the Binocular inside or try to remove the Binocular. Trending at C $33.01eBay determines this price through a machine-learned model of the product's sale prices within the last 90 days. Fits for 20mm Picatinny / Weaver Rail. Provides natural grip positioning for point and shoot techniques. 1 x Hand Stop. Allows versatile positioning for optimal comfort. Can be used alongside the included VTS for optimal support. Type: Angled Fore Grip. 1 x Angled Fore Grip. Due to the light and screen setting difference, the item's color may be slightly different from the pictures. Fit to every 20mm for picatinny standard rail. FINALLY, an optic/ scout scope mount that fits the top eject lever guns. Thousands sold world wide last 3 years. Mount has a built-in adj. 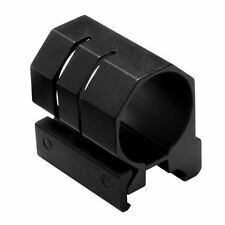 rear sight as back-up if your optic breaks. uses weaver or picatinny mounts. Silencer cover in 5 mm stretch neoprene with laminated stitches. Made of quality strong neoprene. A group of minded friends who have so much love for different kinds of outdoor activities. The cover is 29.5cm long and can be shortened. 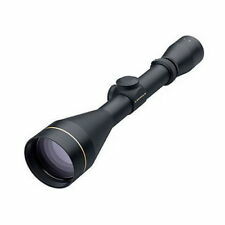 Hunting Riflescope 3 - 9 X 40EG Full Size Sight. 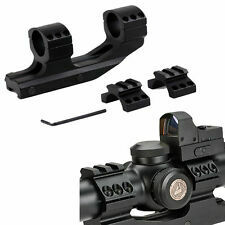 - Includes two 20mm scope mount, easy to install. - Lens covers protect the lens from dust, no need to remove the covers while using. 24W Round LED Ceiling Light Flush Mount Fixture Lamp Kitchen Bedroom Down lamp. Description: This tactical rifle scope is well suited for wide range shooting, with high optical clarity at 4-12 times magnification and a 50mm objective diameter. The scope and holographic reticles are illuminated in red or green and in multiple brightness intensities, for a suitable sight picture regardless of lighting or environment. The red laser and holographic sight allow for quick acquisition of close quarter and fast moving targets. Durable all metal construction High grade fully coated optical lens Weather, fog, and shock proof Integrated rails offer ample space for accessories Easily mountable to any 20mm rails (Picatinny or Weaver). CTR style a re loaded with features. Lightweight and sleek for that great looking build. We maintain high standards of excellence. We will reply you ASAP. Rail system: 11mm Weaver Rail. Work type: Ring Converter 11mm to 20mm. Ring Converter: Approx. 0.79" x 1.46" x 0.39"(2cm x 3.7cm x 1cm). 1pc x Ring Converter. Rough surface for Extra Secure Installation. Features: 10 Sets of Keymod replacement screws and nuts Including 10 screws and 10 nuts Heavy duty steel Universal fit for any Keymod rails Specification: Condition: 100% brand new Color: Black Material: Steel Package Includes: 10 Sets of screws and nuts Type KeyMod Rail Screws and Nuts Brand Unbranded Color Black MPN Does Not Apply Country/Region of Manufacture China UPC Does not apply. 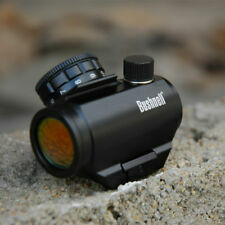 Specifications for BSA Optics RD30 Illuminated Rifle Sight:Magnification: 1× Fits all 20mm Picatinny And Weaver Rail . Included in the Package :>1 x Red Green blue dot sight scope. Compatible with most Picatinny / Weaver rails. Easy Quick And Secure Installation -Allen Screw Locking Clamp Rail Base Retention For Maintaning Zero Under Heavy Conditions. Quick adjust Flip Up Deploy Button Release At The Push Of A Finger And Locks In Place When Deployed Or Folded. Scopes with lasers provide you with a number of mounting options, some even pairing with a flashlight for a greater tactical advantage. They often come with red dot and green laser sights. 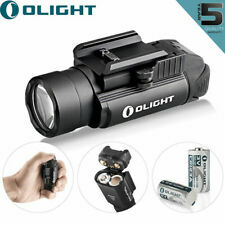 Rifle scopes, such as those from Nikon and Leupold, can utilize regular magnification or a combination of magnification and tactical laser light. How are laser optics different from other scopes? Lasers are different from other versions of a rifle scope in that they use light in order to create the conditions for proper targeting. Rather than light, other scopes use magnification to zero in on the area, though some of these scopes use specially enhanced light systems in tandem with their magnification properties. What are the benefits of scope optics? Scope or laser optics are your two primary choices when it comes to deciding what kind of sights you want to mount on your gun. They are both useful in their own ways and in various situations. For hunting, you may find a riflescope to be advantageous. Knowing how rifle scopes can benefit your hunting experience is key to choosing the right one for your needs. Riflescopes, like those from Vortex and Leupold, offer superior accuracy at long range, thanks to magnification. 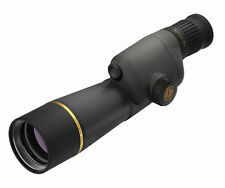 A rifle scope that magnifies your area by even a few degrees can be highly beneficial to your hunting experience. Since hunting involves taking down an animal without getting too close to it or frightening it, a rifle scope, such as those made by Nikon, is an ideal piece of equipment for this. What are the benefits of laser optics? These sights use powered light to create a standalone reticle that appears on the surface, typically with great speed. Although they usually take the form of a red laser, some, like the Viridian green laser sight, produce other colours. They are not designed for magnification but provide you with several other benefits instead. They excel at rapid target acquisition, which is an essential feature of any self-defense scenario or if you need to hunt for wild animals that may have invaded your home. Because they operate as standalone devices once they are mounted, laser lights allow you to fire your weapon from a variety of non-standard positions. If you ever find yourself in an awkward pose or location but still need to fire accurately, a laser sight will greatly help with this. 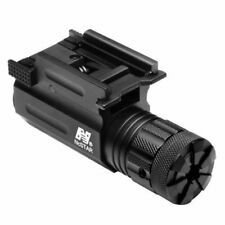 Laser sights are an excellent choice if you need a scope system for medium or close range shooting as your eyes will not need to adjust to any magnification. Since laser sights create their own light for tracking, you can use them effectively even in pitch black environments. A specialized cap switch can keep the device switched on indefinitely when you need the light and don't want to worry about it shutting off.